If you are organizing a project or event that matches with GENOA’s vision and activities, or would like to know how you can draw from or consult with the wisdom of the region’s ecovillages for your private, nonprofit, or government project, we suggest the following options. We encourage you to directly contact people and organizations within our network who you can form exchanges with! 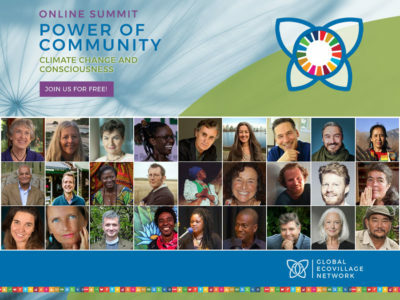 GEN is currently developing an online platform where people involved in ecovillages and supporting work can advertise their consulting services. Until that point, please feel free to use the GEN Directory to directly contact communities and organizations who you would like to have an exchange with! GENOA welcomes partnerships with aligned events and projects from NGOs, governments, the private sector, and informal initiatives. Please contact GENOA at [email protected] with information about your event or project and a proposal for the partnership. Generally, GENOA welcomes being listed as an event or project partner, indicating the spirit of ecovillage within the initiative. Not that generally, we do not provide funding or material goods for events, aside from regional gatherings sponsored by GENOA. Ambassadors are also welcome to apply for small grants for events and projects. Ambassadors can feel free to use the GENOA name and logo when promoting their activities.